If there's one season I love in Korea, no doubt that it would be AUTUMN. Compared to other three seasons of Korea, autumn brings out the best look of this country. This season could play trick on people. Usually, it is so cold in the morning and in the evening, but warm in the duration of daytime. So sometimes you need to decide properly what to wear so you will not end up sweating during the daytime and chilling when night time comes. Nevertheless, aside from the capricious weather, I still like Autumn season. I don't know, I just find it romantic and relaxing. It is this time of the year when you want to just walk in the shadow cast by colorful trees in the alleys of the city and enjoy the warring warmth and coldness of the atmosphere. To support my claim that Autumn is best season in Korea, here are the three things that we can look forward to during this season. 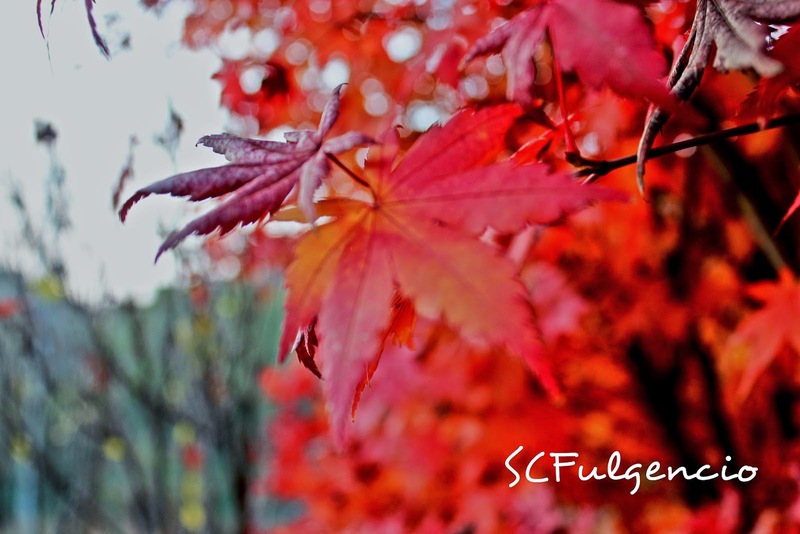 The main reason behind the fiery colors of autumn in Korea is the LEAFING or commonly known as Fall Foliage. Korea has a lot of rural destinations where you can enjoy looking at the colorful leaves of the trees. 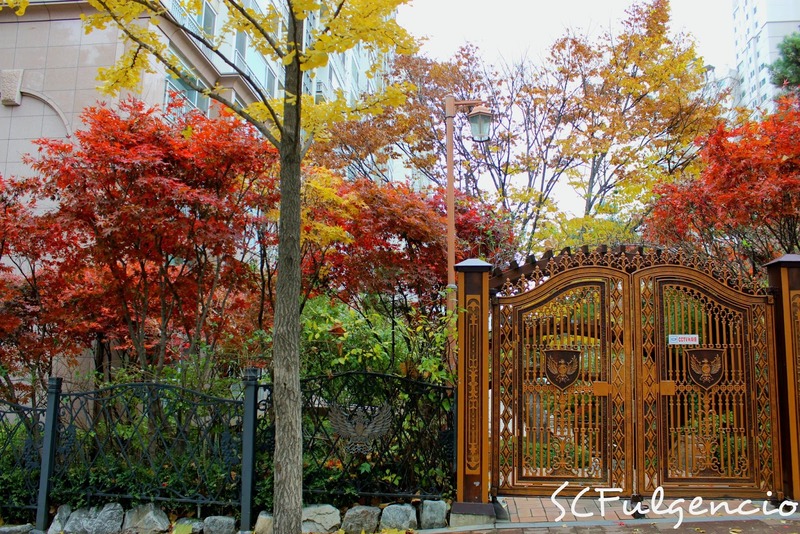 You don't even need to go to far places to be amazed with the changing of color of the leaves because even right within the city particularly in Seoul, there are a lot of themed parks and places that can show you the color of autumn. Be amazed with the mountains and side streets blanketed by vivid golden and red autumnal leaves. Isn't it awesome? As I've said, there's a big temperature difference in the morning, at noon and in the evening. Although I find it annoying sometimes, most of the times I think it's interesting because it makes a pleasant weather. It's a bit of a challenge to keep up with the changing of temperature but one can just enjoy the mild days during the autumn season. Yeah, autumn is the festival season of Korea. Ok fine, I just made that up, but at least that is what I observed. Festivals are starting to pop up from almost every corner of Korea once the gentle breeze of Autumn Season takes the scene away from the suffocating heat of summer. There's dance festival, book festival, any kind of fruits festival, any kind of flowers festival, any kind of food festival, any kind of music festival, and yes, even the ginseng has a festival. All these kind of festivals are scheduled during the autumn months from September to November every year. I am sure there are gazillions of things to look forward during the autumn season in Korea but at least I can think of these three. How about you? If you think of an Autumn, what are the things you anticipate? I love the red leaves during autumn been to Korea in all the season and honestly autumn is one of my favorites but Spring comes first. I so love South Korea such a beautiful country. Btw do you stay there? yes, I am here to work. I have never been to Korea. Thank you for sharing, now I know what season is best time to visit. I love the color. Photographers in Korea must be having a wonderful time. I love Korea! I have friends there and I always enjoy their stories about how beautiful the place is. I'll definitely visit it soon so I can see it for myself. I also agree with the festivals because he's always updating us about music/dance festivals over there. Never been to Korea but I like the history and people. Learning their true characters makes you like them more. I still prefer spring because that's when the cherry blossoms bloom. But, the autumn leaves really are a sight to behold.